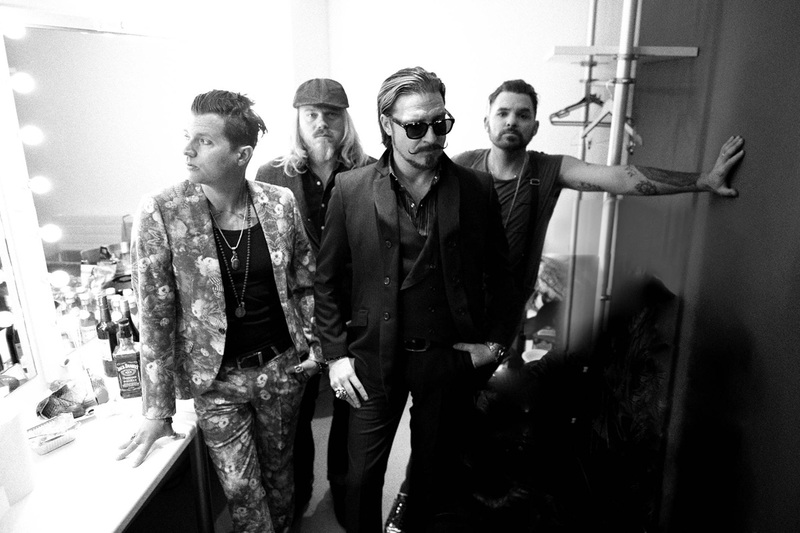 Long Beach, California's RIVAL SONS are due to kick off a world tour tonight - Wednesday, January 20th - supporting heavy metal legends BLACK SABBATH. 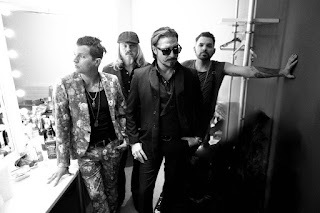 Starting off in Omaha, Nebraska, "The End" tour will make its way across the USA and Canada before heading to Australia and New Zealand in April, then on to Europe in June. 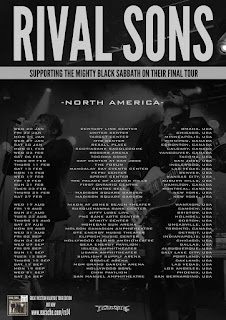 Due to overwhelming demand, the two rock titans will also be returning to North America in August for another month-long stint. 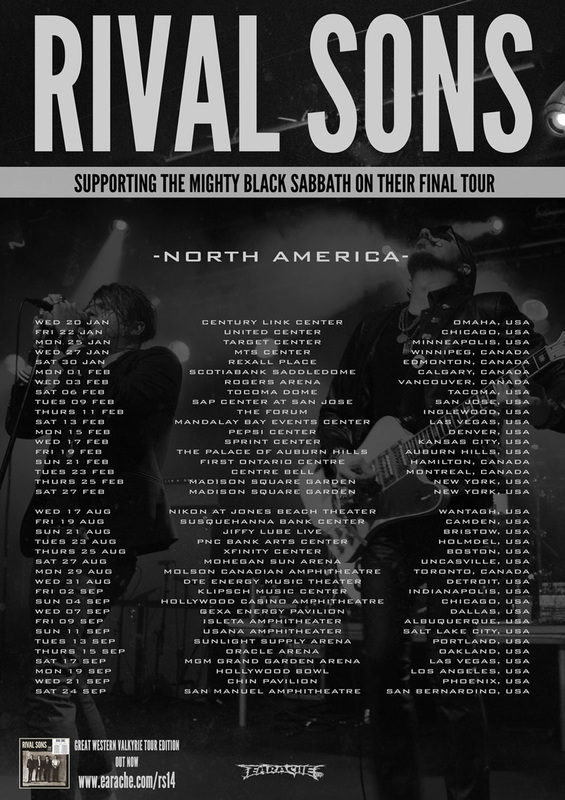 The tour follows the recent release of the new Tour Edition of RIVAL SONS' latest album, 'Great Western Valkyrie', which stormed into charts around the world upon its release and was rated the number one album of 2014 by Classic Rock magazine. The new Tour Edition includes an exclusive bonus disc featuring six bonus tracks.